People participate in a cannabis rally in Toronto in 2016. Facing the advent of cannabis legalization in Canada, some companies such as AnantLife are coming to market with genetic tests to evaluate risk of cannabis dependence or cognitive side effects. Picture a lab report that evaluates your risk of cannabis dependence or cognitive side effects, based on genetic markers in your saliva. This test has been on the market since September, launched by a Toronto-based company called AnantLife. At least two others are in the pipeline, ready to piggyback on the frenzy of marijuana legalization and the runaway success of genetic tests such as 23andMe. Despite the veneer of hard science, numerous offerings in the genetic-testing market have come under fire for making recommendations based on flimsy interpretations of the human genome, from diet and exercise advice, to sleep tips and even wine selections based on DNA. Unless they can hold up to scientific scrutiny, genetics tests that make predictions about how a person will react to cannabis could fall under the category of products that skeptics have described as "genetic astrology." The makers of the new cannabis genetic tests say their goal is to help doctors feel more comfortable prescribing it, while reducing adverse effects. But specialists in pharmacogenomics – the study of how genes affect drug reactions – say these products are jumping ahead of what science can tell us about how genes may interact with the plant's multiple varieties and more than 500 known compounds. Dr. Corey Nislow, an associate professor of pharmaceutical sciences at the University of British Columbia, said it would be a shame to "overhype" the ability to tailor cannabis therapies today, since "five years from now, if we continue to do good work, we may be a lot closer." But Dr. Rahul Kushwah, chief scientific officer for AnantLife, claimed his company added a "cannabis genetic kit" to its roster of disease-risk and ethnicity-based tests because physicians asked for a tool to help them assess the risk of adverse effects. "A lot of them are not that comfortable prescribing cannabis." The test looks for genetic markers associated with increased risk of cannabis dependence, cognitive effects, cardiovascular disease linked to cannabis consumption and eating disorders triggered by marijuana-induced munchies. Since September, the company has sold about 1,500 of these tests in Canada and the United States, Dr. Kushwah said, noting that the test is available only through a family physician or health-care provider at a cannabis clinic. The company has set the price point for Canadian patients in the mid-$300 range, "so it can be affordable to a huge chunk of the population." Another Canadian company, MedReleaf, has announced a genetic test called ReLeafDX, to be released in January. Neil Closner, the company's chief executive officer, said the test uses DNA collected from a cheek swab to evaluate genetic markers involved in metabolizing cannabis. It then uses that information, along with the patient's symptoms, to recommend one of MedReleaf's 12 to 15 strains in the right dosage for that person's needs. The test, free of charge, will give doctors answers to two key questions, he said: "How much to prescribe and which products to recommend patients use." Meanwhile, an American company called Only YOU Genetics, based in New Orleans, has come out with a test, available to Canadians, that bundles genetic markers for metabolism of cannabis compounds with pharmacogenomic testing for 145 conventional drugs, at an introductory cost of $299 (U.S.). Specialists in pharmacogenomics question the validity of these products. Evidence-based tests to predict drug reactions typically rely on a resource based at Stanford University called PharmGKB, which collates data from the world literature and rates gene-drug interactions according to the level of evidence to support them. The PharmGKB database includes a handful of genetic variants linked to cannabis, said Dr. Martin Dawes, a professor of family practice at the University of B.C., and founder of a pharmacogenomics company called GenXys Health Care Systems. But compared to the level of evidence for drugs such as warfarin or codeine, "we've got hardly any here," he said. Even if the tests proved to be scientifically valid, genetic markers would account for just a fraction of the factors involved in whether someone becomes addicted to cannabis or suffers cognitive effects, said Dr. Jehannine Austin, founder of Vancouver's Adapt Clinic, the world's first genetic counselling clinic specializing in psychiatric disorders. Areas such as addiction and cognition are "really complex," she said, with outcomes determined by "our genes and our experiences working together." Dr. Kushwah noted that AnantLife's test relies on genetic variants identified through an "extensive assessment" of the existing evidence, combined with markers identified in the company's own database of genetic tests. He added that the kit includes a patient questionnaire about lifestyle that AnantLife factors into its risk calculation. "It's a mix of both." Closner of MedReleaf acknowledged that genetic testing is an evolving science, but suggested that his company's product is better than nothing. "Today, doctors have no guideposts and no tools when it comes to prescribing cannabis." Dr. Bernard Le Foll, a clinical scientist at the Centre for Addiction and Mental Health, disagreed. 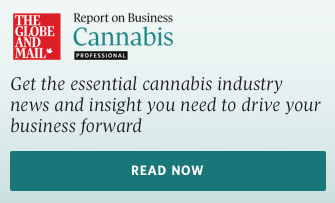 Earlier this year, he joined a group of Canadian experts to publish Canada's Lower-Risk Cannabis Use Guidelines, endorsed by multiple health agencies, including the Canadian Medical Association and Canadian Centre on Substance Use and Addiction. "These are much more reasonable guidance documents to use rather than taking a [genetic] test," Dr. Le Foll said. Genetic tests to guide cannabis use could cause harm by giving patients "a false sense of security," said Dr. Arthur Caplan, head of medical ethics at New York University's School of Medicine. Even as public-health agencies raise awareness of potential side effects, such as short-term memory problems, anxiety or psychosis, cannabis users may tell themselves, "that's not me – and this test proves it." He added that the tests may appeal to patients using medical cannabis to treat serious health conditions, as well as parents giving cannabis products to sick kids. "There's a market for it." Dr. Lindsay Meredith, a professor of marketing at Simon Fraser University, speculated that Canadian makers of these tests are targeting physicians because patients view doctors as authority figures. "If you can convince [physicians] that you've got the right product," he said, "they'll market it for you." Genetic tests to predict a patient's response to cannabis "really ought to be rigorously examined by Health Canada," he said.